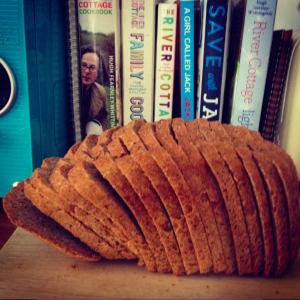 Busy bakers was started to give me an outlet and space to talk about my passion – bread! Not only eating it though, no my main passion is baking bread. I’ve tried all sorts, and continue to keep trying, baking with a bread maker, by hand, trying out all kinds of artisan breads, you name it I’ve either done it or it’s on my list to try! I still remember being so excited to try out the first loaf bread that I had made by hand. It took forever, was such a long process and the end result was… not so great! I think it was very much brick like! I never gave up though and kept experimenting through the years with many methods. I’m happy to say that I rarely get a bad loaf nowadays, although of course it does happen every so often. Buying a bread maker was one of the best things I ever did on my journey to be a better baker. 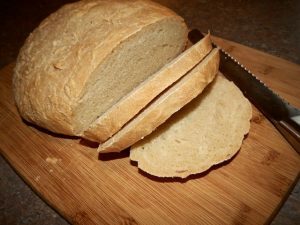 It really helped me to experiment with other types of bread while keeping the bread baking constant. Not all bread makers are the same though and you’ll find that if you go too cheap you’ll still struggle to get those perfect loaves. I’ve been through a few in my time and found some absolutely brilliant models and so I feel like I’m well positioned to talk about the best of the bread makers that are around today – you can check out my buying guide here and you can also see an in depth review to my favourite model here. If you want to bake your bread in the oven or make different kinds of loaves then you might just want something to help with the kneading. I always found kneading bread the hardest to get the hand of, especially when I was a beginner and having a stand mixer to help out was great. Of course, it’s a huge time saver too as I can get on with other jobs while the dough is mixing. Doesn’t get all over my fingers too! Once you’ve perfected your loaf then it doesn’t end, because then you have to cut it don’t you? I’ve found that my favourite tool to help with this job is a electric slicer. Honestly, I couldn’t do without it now and I even think that they should come as standard along with bread makers when you buy them! Unless you like really thick sandwiches that is! I have no will power though and so having nice and even slices enables other people in the house to at least get some! You can see my top choices of electric slicers for bread here. I am going to add my favourite recipes here too and hope that you’ll come to enjoy baking bread as much as I do whether that’s with a bread maker, by hand, whether it’s a plain white sandwich loaf or a fancy ciabatta! Make sure to reach out to me if you have any questions, I love to hear from my readers.